Hello creatives! Three more days and its a brand new year! But before you end the year with a bang, we here at You The Designer will continue to inspire you with some awesome finds that will boost your creative day ahead. And this time, we will showcase another set of marvelous illustrations featuring a legend from the comics industry – Stan “The Man” Lee. So why Stan Lee? 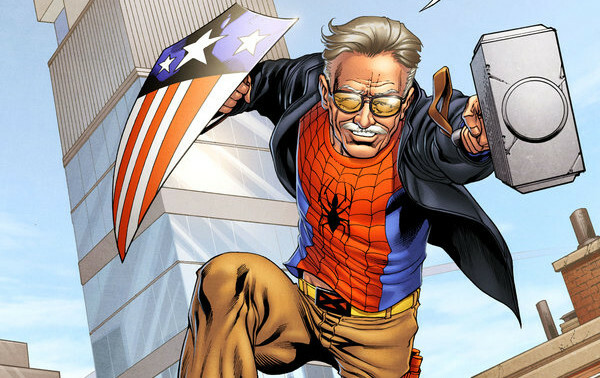 Well, aside from being considered by fans as the “God of the Marvel Universe“, today marks his 90th birthday. Being the former President and Chairman of Marvel Comics, Stan Lee is popularly known as a comic book writer, editor, actor, producer, publisher and television personality. His collaborations with notable artists like Jack Kirby and Steve Ditko, gave birth to some of today’s most celebrated comic book characters like Spider-Man, the Hulk, the X-Men, the Fantastic Four, Iron Man, Thor, and many others, introducing a more complex and naturalistic characters in a shared universe of superhero comic books. As a birthday present and to celebrate Stan Lee’s contribution to the world of comics and their influence in today’s pop culture, YTD have collected some of the coolest artworks across the Web featuring Stan with some of his popular superhero creations. Exelsior! NOTE: Images on this page are not owned by YouTheDesigner and are used solely as design examples and inspiration. Please click on the images to see their original sources. Which among the Stan Lee artworks is your most favorite? Share to us your thoughts and as well as your suggestions by commenting below. Stay awesome everyone!